Students and unmarried people usually prefer to rent a room rather than a whole apartment or house. However, this too calls for the signing of a proper legal agreement with the requisite clauses and regulations in place. By using a room agreement form, this document can be drafted quite easily and that too without the help of a professional. This Agreement Forms follows an acceptable format and comprises of all the crucial segments that should be included in such a contract. When a person rents out a room owned by him to another person, he can use the aforesaid form to draft a proper legal document for the purpose. The form gives him an idea of the right way to frame the clauses for the rental transaction. 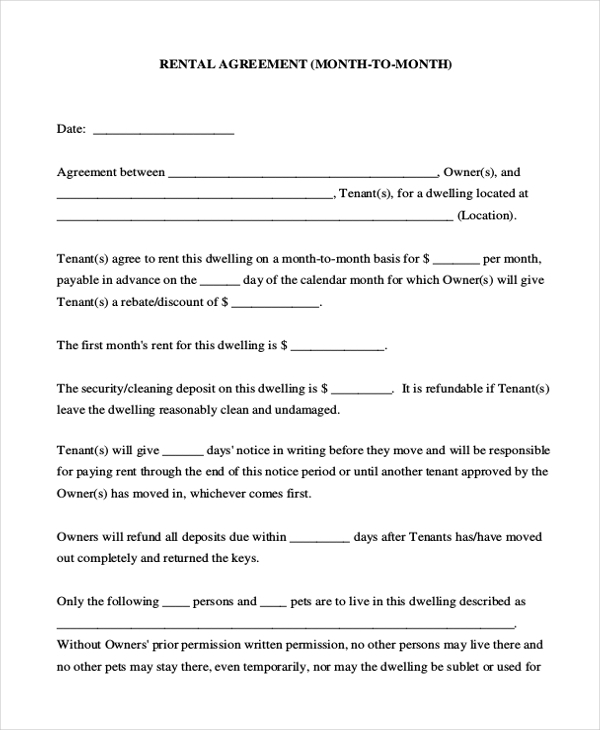 This form comes in handy for a person who may want to rent a room to a tenant and collect rent from him. 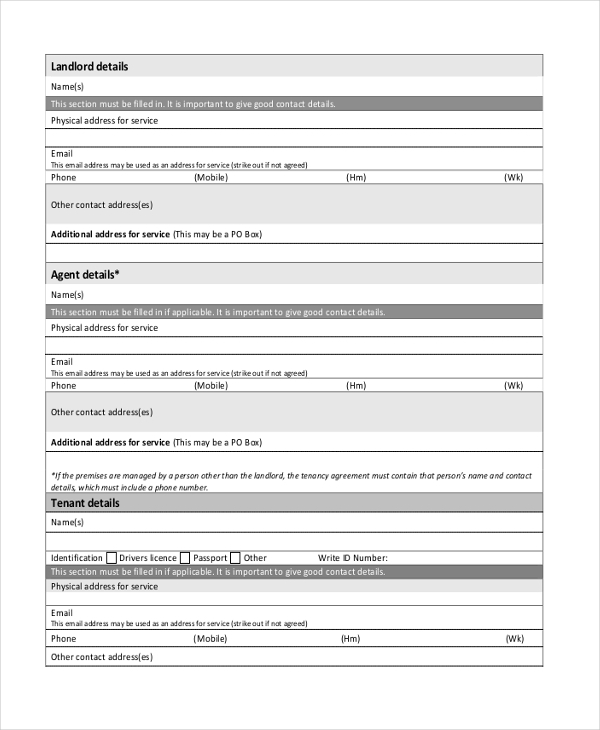 He can use this form to draft a perfect agreement where he can mention the clauses that the person needs to follow and the rent he should pay. 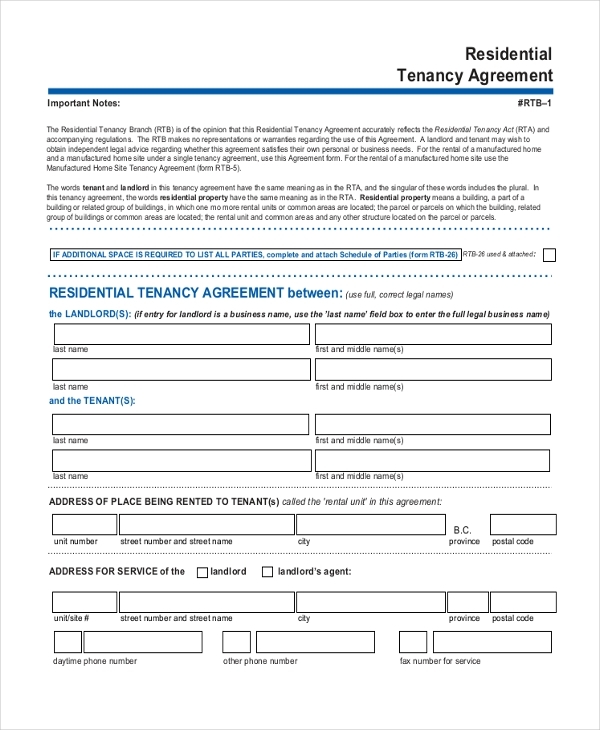 A room owner who is thinking of leasing out the room to another person can use this form to draft a rental agreement without professional help. With a proper format and essential segments in place, this definitely becomes easier. When a person wishes to rent out his room on a month to month lease renewal arrangement, then he can use the aforesaid form for the purpose. This form gives him an idea of how to draft such an agreement and how to write the clauses. 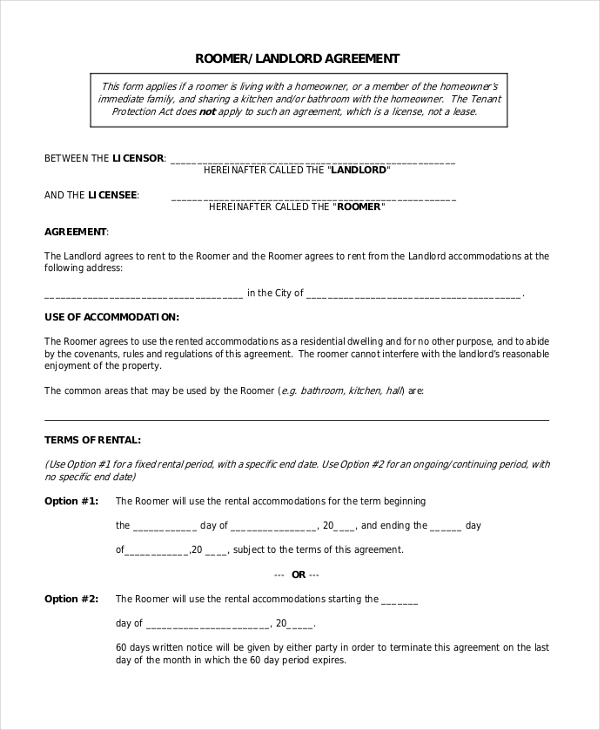 This is a sample of a roommate agreement which can be used by a person who wishes to take in a roommate with a view to share the rent. This form gives him an idea about the format to be followed and the segments to be included in such an agreement. 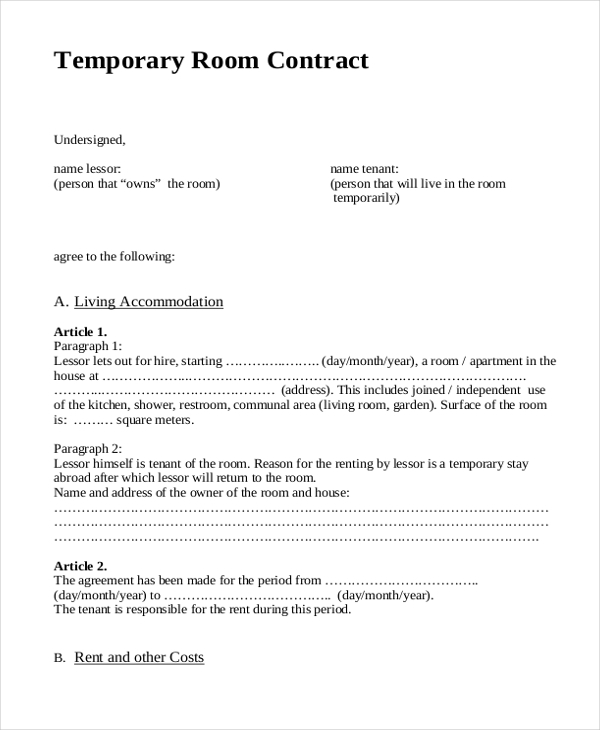 When a person lets out a room to another person for a small period of time, he can use this temporary room contract form to draft an agreement to be signed by him and the tenant. He can include the essential clauses in this agreement. 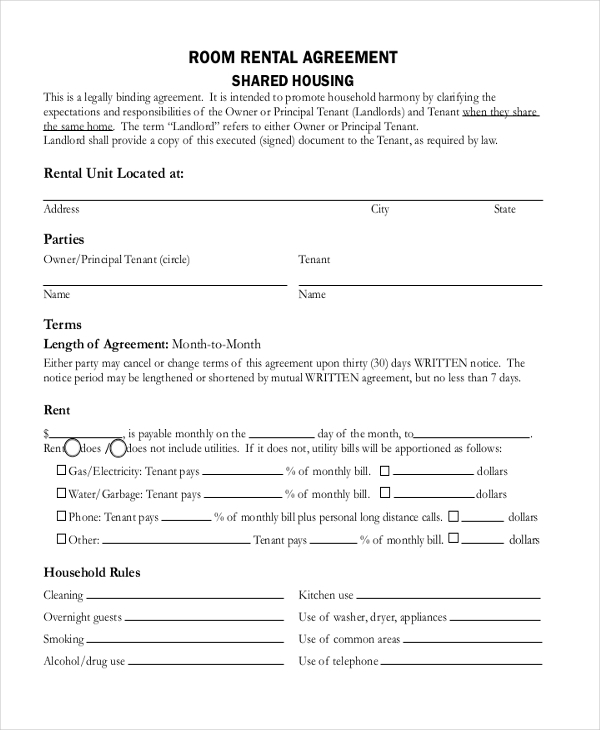 Boarding houses and hostels can use this renters’ agreement form to come up with a unique tenancy agreement which states all the tenancy regulations and clauses that all the residents should follow. The owner can use the same agreement document and just alter the tenant details each time when drawing a contract. 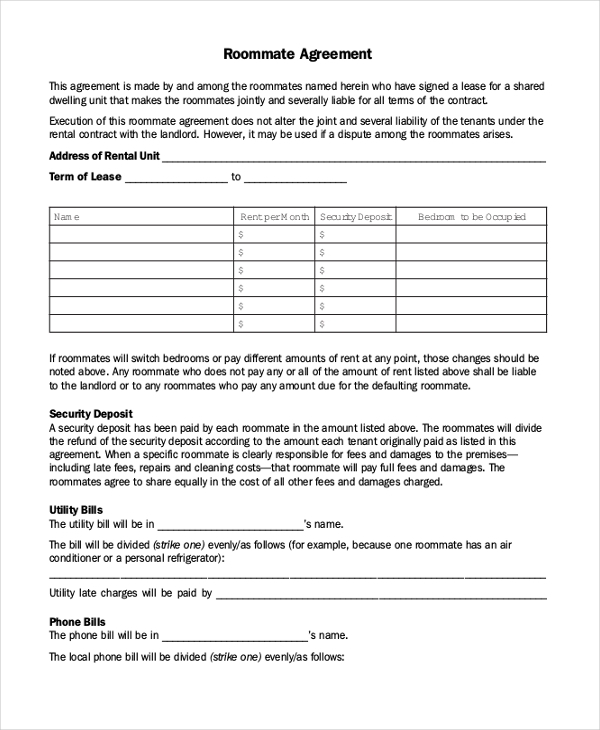 When a person takes in a new roommate to share the room, he can use this form to draft an agreement with the requisite clauses that both the parties should adhere to. The form comprises of the essential segments to be included thus making the process easier. 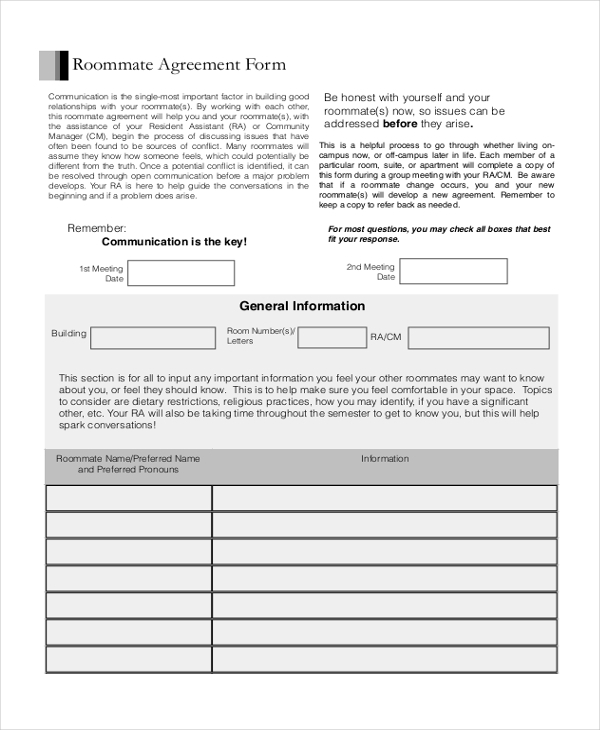 What are the Benefits of Using Room Agreement Forms? Not sure how to draft a room agreement? Don’t worry. Browse through our impressive collection of room agreement forms to find the one that is perfect for you. Easy to download and customize, you can quickly draft an agreement without the help of a professional by using these forms.